"The annual report of the Royal Court for 2014 was submitted today to the Presidium of the Storting, the Ministry of Local Government and Modernisation, and the Office of the Auditor General of Norway. The Royal Family visited 69 municipalities and all of Norway’s counties in 2014. The King and Queen carried out a State Visit to Myanmar in December, while the Crown Prince and Crown Princess paid an official visit to Vietnam in March. The accounts for the Civil List showed a surplus of NOK 6 846 443 compared to a deficit of NOK 6 701 468 in 2013. The accounts show that a major portion of the funding allocated is used to maintain and develop the Royal Palace, the other buildings at the disposal of the Royal Family and the cultural and historical treasures that these buildings house. The accounts for the staff of the Crown Prince and Crown Princess showed a surplus of NOK 2 607 816. This surplus has been set aside for future procurements/operating reserves. The accounts for “Åpent Slott” (cultural outreach activities) showed a surplus of NOK 93 570. This surplus has been transferred to equity capital. “The positive result in the 2014 accounts demonstrates that the Royal Court has employed good financial management practice through the fiscal year. The results are also a reflection of the modernisation and rationalisation processes that have been implemented. There is a need to free up additional resources for maintenance, renovation tasks and investments that have been put on hold due to financial constraints,” says Lord Chamberlain Åge B. Grutle." The annual report has as expected not created many headlines, compared to last year when the annual report for 2013 showed a deficit of NOK 6 701 468, which was to be covered by previous appropriations. It is good to note that the court again demonstrates good financial managament. I guess one could say that the lack of big headlines is a positive thing. And people should remember that the expenses to uphold the royal house and monarchy are seldomly a relevant argument in the debate about the form of government. A republic will in most instances not be a cheaper alternative. As far as I know this is the 11th time the Royal Court has published an annual report, and what a thrill it is to read it. A great way of getting a survey of the activities and to reflect on the events of last year. The biggest event was of course the celebration of the the Norwegian Constitution's 200th anniversary. All in all the members of the royal family carried out 746 official engagements during 2014, a number which among others includes audiences, state visits and county visits. The royal diary shows that the King during 2014 attended 116 official events in Norway and abroad, while the number in 2013 was 94. The Crown Prince attended 117 events (down from 140 in 2013), while the Queen and the Crown Princess attended 78 and 68 events respectively (85 and 68 in 2013). In my article of last year covering the annual report for 2013, I quoted the press release of 10 April 2014, which said: "During 2013, His Majesty The King attended 314 official events in Norway and abroad, while Her Majesty The Queen attended 98 official events, His Royal Highness The Crown Prince attended 200 official events and Her Royal Highness The Crown Princess attended 72 official events." Obviously one has to add the audiences, councils of state etc. in 2014 to get comparable numbers. I hope we will see higher numbers from the Crown Princess in the years to come. 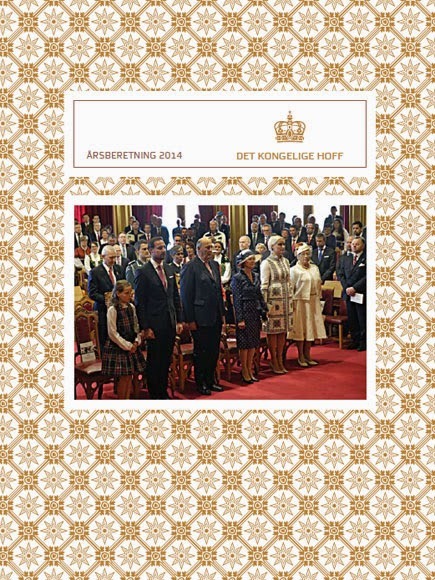 Besides the royal diary and the accounts for the civil list the annual report also contains information about how the royal court is run, with details about among others The Treasurer's Office, The Communication Staff, The Royal Secretariat, the Department of Royal Estates and Culture and The Royal Household. One can also read about the royal trusts, health, safety and environment (HSE), royal orders and medals and finally various words and expressions are explained in a short dictionary. From the annual report we learn that 25 persons received the Royal Norwegian Order of St. Olav in 2013, compared to 22 in 2013 and 27 in 2012. Among the recipients were Princess Marie of Denmark, President Toomas Hendrik Ilves of Estonia and President Joachim Gauck of Germany, who all received the Grand Cross and the Norwegian actress Lise Fjeldstad (Commander with star). The Medal of St. Olav was awarded to two persons - the Canadian Russel and Alison Wiigs, who have done extensive work within the Norwegian and Scandinavian Community in Calgary for many years. 105 people received the Royal Norwegian Order of Merit, while there were 138 recipients of the King's Medal of Merit (down from 162 in 2013), among them the historian and author Johan Borgos. Finally The King's Commemorative Medal was awarded to 14 persons in 2014. The annual report can be downloaded from here. For earlier annual reports, go here. Photo: Sven Gj. Gjeruldsen, The Royal Court. In the Council of State last Friday, 13 March 2015, the King formally appointed the Lord Chamberlain at the Royal Court, Åge Bernhard Grutle, as the new Norwegian Ambassador to Helsinki, Finland. Skrutle, b. 1952, has been in his post at the Royal Court frpom 2009. His starting date for taking over the new post as Ambassador has yet to be decided by the Ministry of Foreign Affairs. In a press release the same day the Royal Court informed that the new Lord Chamberlain, to take office in the summer of 2015, will be the current head of the the Royal Secretariat, Chief of Staff Gry Mølleskog (b. 1962). She has been in that position since September 2012, but has also served as the Chief of Staff for the Crown Prince and Crown Princess from 2003 to 2006. Mølleskog, who comes from Bodø in the county of Nordland, has studied at the Norwegian Business School (Executive Master of Management) and has according to Linkedin an impressive CV with lots of business and leadership experience as well as many positions in various boards of directors. She has among others been Senior Vice President of SAS and Senior Client Partner in the international recruiting company Korn Ferry, where she was an consultant in recruiting and reorganisation processes for high ranking executives in larger businesses in Europe and the United States. Mølleskog becomes the first female Lord Chamberlain at the Royal Norwegian Court and according to Nrk.no also the first female Lord Chamberlain among the European courts. 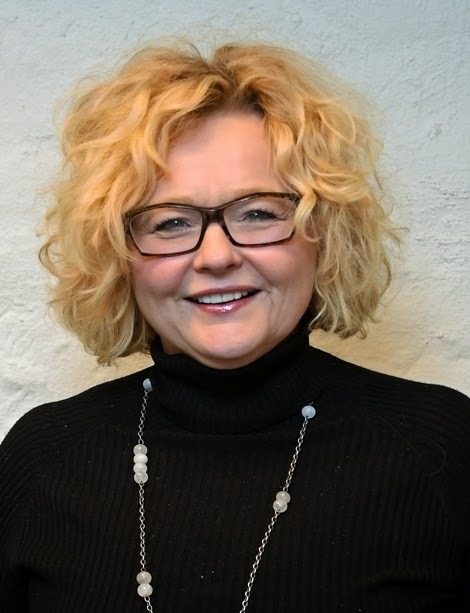 Mølleskog has since 1983 been married to Thoralf Granerød, who is an associate partner at the consulting company First House (of which Per Høiby, Crown Princess Mette-Marit's brother, is the managing partner), and has one daughter. In the same Council of State last Friday former communication director at the Royal Court, Astrid Versto, was appointed as the new Ambassador to Zagreb, Croatia. She is currently Head of Communications (development cooperation) at the MFA. Versto was at the Royal Court from 2005 to 2008. Updated on Wednesday 18 March 2015 at 08.30.